Russell Timber Technology is a leading UK manufacturer, supplier and installer of premium quality engineered Timber doors and windows, Alu-clad windows and curtain walling. A family run business – the trading name ‘John A Russell’ dates back to 1888 – the company is passionate about designing and making technically advanced and aesthetically pleasing, high performance Timber products to combat the rigours of our climate, both environmentally and socially, and reduce emissions from our properties. 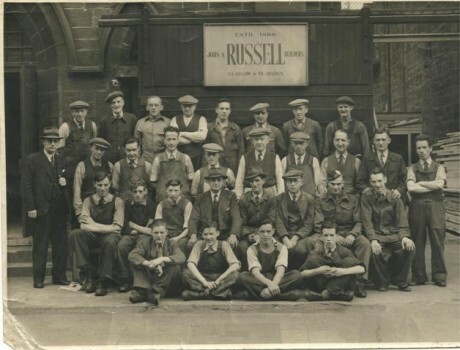 John A Russell (Joinery) Ltd, was founded in 1967 by John A Russell, father of the current Managing Director. The Company rapidly set the benchmark for manufacturing the best engineered timber doors in the UK. It is renowned for its impressive entrances and unique, high performance insulated hardwood doors. As the business grew, it expanded its manufacturing into Timber and Alu-clad windows in response to demand - all Engineered to Excel. In the early days of timber’s revival, organisations like Wood for Good and Scandinavian window and hardware companies did much to raise the standard and specification of timber windows in the UK. Russell Timber took on the challenge of developing advanced, high specification, timber windows and doors. The company is now run by Managing Director, John Russell, with offices and manufacturing facilities in Glasgow. Products are supplied throughout the United Kingdom. The business specialises in supplying beautiful, advanced, engineered timber doors and windows for both new build and refurbishment, typically in large scale housing projects, city apartments, social housing and Eco homes.